Chetco Activity Center, 550 Chetco Lane Brookings OR 97415. Behind Subway on Chetco Avenue. The Lion Chair collects, sort, counts, and prepares donations for a Lion to take to the Southern Oregon Lions Sight and Hearing Center in Medford, OR. The donations are stored at the SOLSH Center until a Lion takes them to Safeway for transport to the Sorting Center in the Portland area. Anyone can Volunteer to help us Recycle!!! The Brookings-Harbor Lions "Kans 4 Kids" program started on April 1, 2006 by placing a plastic container in front of Ray's Market on Chetco Avenue. The community has supported this program daily by dropping off their recyclable aluminum pop and beer cans plus plastic water bottles. 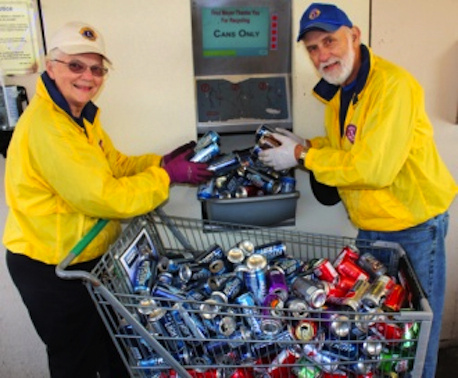 A team of Lion members empty the container twice a day then recycle the cans and bottles as a group on Friday mornings 7am-10am at Fred Meyer Recycle Center. 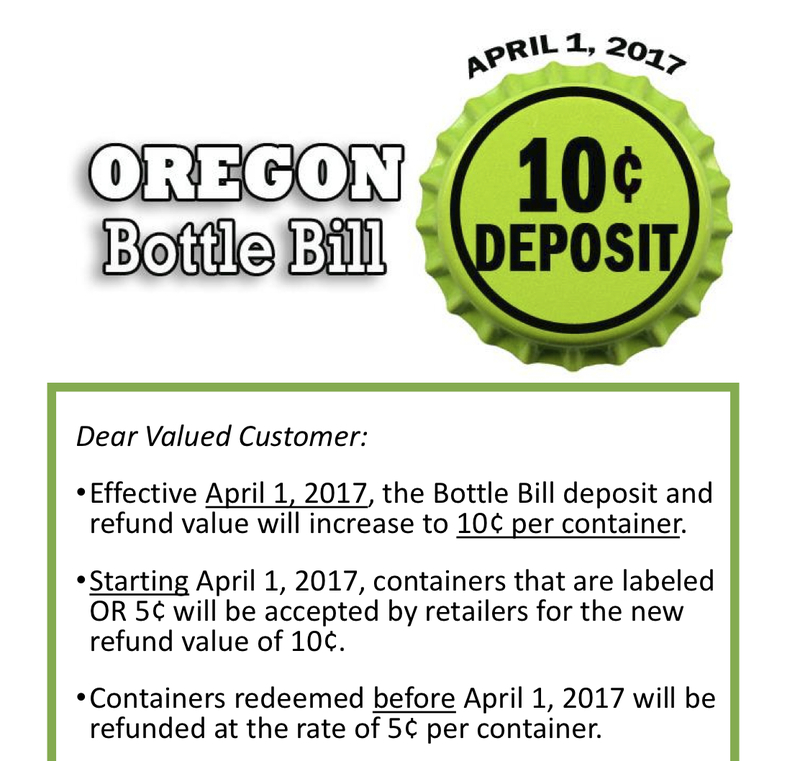 A second container was installed at Fred Meyer Recycle Center to collect recyclable bottles and cans that would not go through their recycle center due to being crushed, etc. 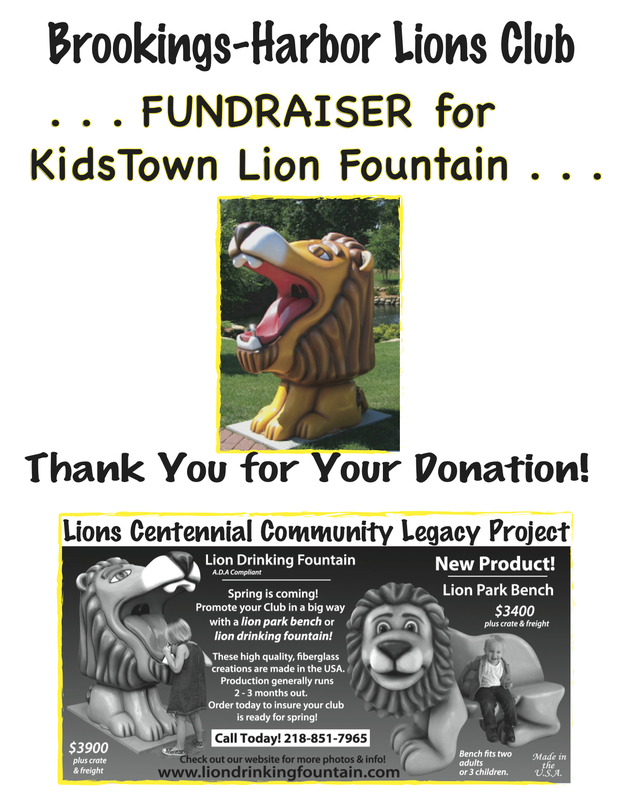 WATCH our Lions Quarterly Video April 2016 "Kans4Kids"
On Saturday, the industrious Lions met at the Bankus Fountain at the corner of Fifth Street and Chetco Avenue to celebrate the one millionth can they have sorted over the three-and-one-half years they have been gathering cans to support their services to the community’s children and others in need. The Lions have raised more than $50,000, providing $23,000 for eye examinations, glasses, and cataract surgeries, $4,000 for hearing aids, $12,000 for clothing for children in Brookings-Harbor schools, $1,700 for special computers for the visually impaired, $1,500 for Relay for Life, plus youth camps, a robotic program for Azalea Middle School, support for the children’s KASPER summer program, training funds for a seeing eye dog, food bank donations, and scholarships for students. 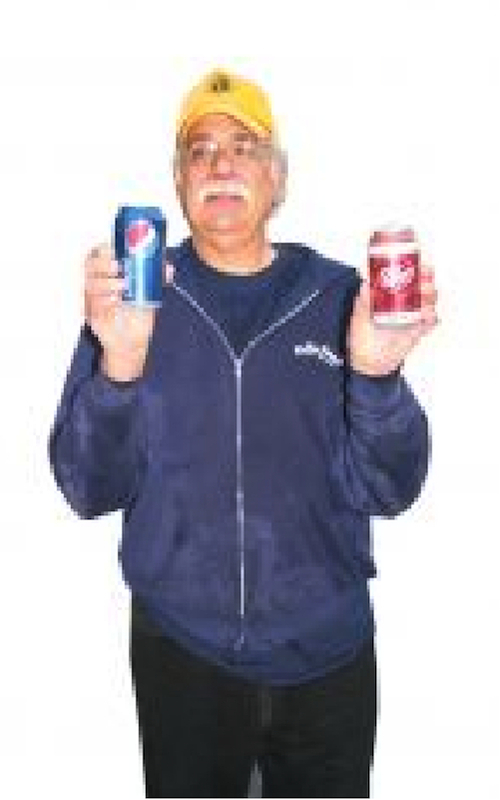 Brookings Mayor Larry Anderson, who shared in Saturday’s celebration, was given the honor of handing that millionth can to Pelaccio as Lions members and friends gathered around. Credit for the success of the Kans for Kids program goes to a dedicated group of eight to ten volunteers who gather at 8 a.m. every Tuesday and Friday at Fred Meyer to sort truckloads of cans. Gathering and sorting one million cans over three-plus years has required approximately 5,000 hours of volunteer service by the 16 members of the Lions Club. Apparently, new friends who join in Saturday’s celebration were impressed with the spirit and dedication of the Lions because at least two people were overheard asking for applications to join the club. Club members expressed gratitude to friends in the community who have supported them in this effort to make recycling a means to help others.